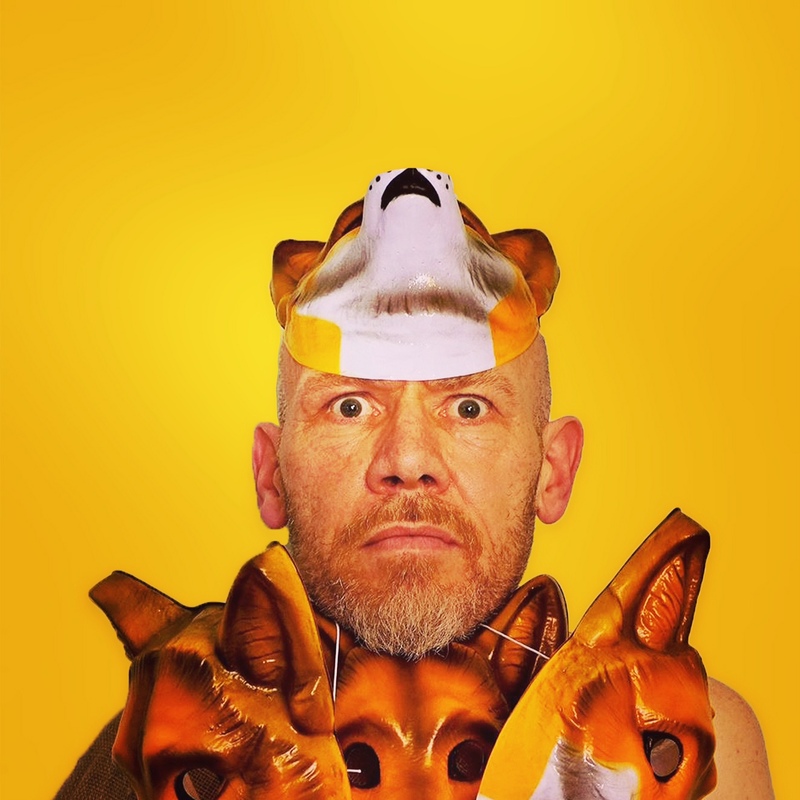 The surreal and beautiful beast that is Mik Artistik's Ego Trip are on their 2019 'World Tour' ...and it promises to be an 'exotic' adventure. Mik Artistik spouts lyrics, throws straws, and generally amuses himself, over the top of an exquisite layer of rock, soul, and punk created by partner in crime Jonny Flockton on guitar, a drum machine ,and one of a crack squad of bass players. So far they have visited Nottingham and Halifax, and have just returned from Cardiff and Caernarfon laden with gifts from the locals ~ Welsh cakes, local jams, and flags. The cult band, have delighted and unnerved Glastonbury audiences for over ten years gaining more devoted followers each time they play, and are proving to be one of the most interesting, unpredictable and exciting acts on the circuit. In the absence of Glastonbury last year the band had triumphant shows at Bearded Theory, Beautiful Days, and Latitude Festivals, winning over more and more new fans along the way, not to mention Daniel Lewis of Homeland fame making a beeline for Mik at Port Eliot and proceeding to dance with him! It's been a crazy summer! Graham Fellows, aka John Shuttleworth, has recorded one of Mik's songs on his new album "Weird Town". Martin Parr the world famous photographer describes them as "My favourite band on the planet". Rick Worthy who hosts The Port Eliot Festival every year in Cornwall said "Port Eliot wouldn't be the same without Mik..."
And Keith Allen likes the band so much he has one of the bands teapots! The art college graduate turned to playing live on stage after a stint on the dole and working on building sites. He developed a side line as Mik Artistik, roaming Leeds city centre offering to draw pen portraits of punters on paper bags. After being invited on stage in a local pub when he heckled a band, the punters loved him and Mik took his strange, singular stand-up act around the country. The show turned into the Mik Artistik’s Ego Trip becoming a festival favourite and popping up in such diverse settings as the London Fashion Show, The Vortex Jazz Club, to Batley Rugby Club, as well as supporting Chas and Dave, and Faust. This band brings joy ~ See them, hear them, touch them... and get healed. It's been a busy six years for the Casio rap duo since the release of their self proclaimed 'difficult second album'. The insouciant pair have traveled twice around the world, bringing their 'brazen otherness' (The Guardian) to audiences in New Zealand, Australia and the US. They performed for three successive years at the Edinburgh Fringe Festival, selling out shows and earning high profile fans from BBC QI's Alan Davies to Flight of the Conchords' very own Rhys Darby.